Strain the syrup through a sieve and into a resealable bottle or container to get rid of chunks, and allow to cool to at least room temperature. Once simple syrup is cool, make the cocktail. In a cocktail shaker filled halfway with ice, combine the bourbon, simple syrup and angostura bitters. Shake vigorously for about 15 second and then strain into a rocks glass filled to the brim with ice. 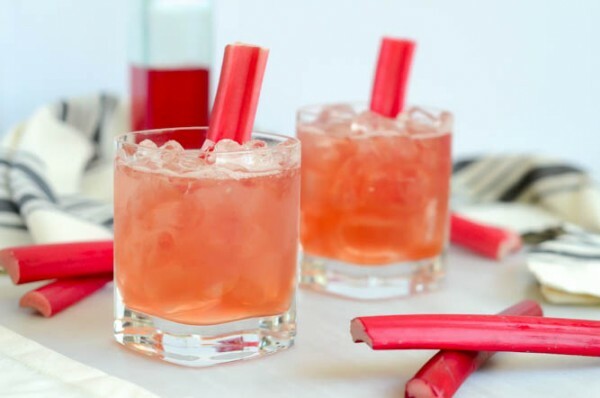 Garnish with a long piece of rhubarb stalk, if desired.